The Academy of Motion Picture Arts and Sciences has announced that Irish composer Patrick Cassidy’s score for ‘Calvary’ is one of the 114 scores eligible in contention for nominations in the Original Score category for the 87th Oscars. ‘Calvary’ was written and directed by John Michael McDonagh. 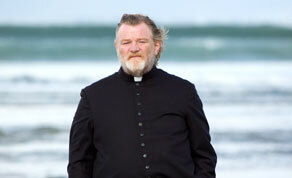 Starring Brendan Gleeson as a priest who is told he has one week to live, the film has already had wins at the IFTA Awards, the BIFAs, at the Berlin International Film Festival and from the Boston Online Film Critics Association. Cassidy’s score for ‘Calvary’ was previously nominated for the Discovery of the Year Award at the 14th World Soundtrack Awards. He was also nominated for this year’s IFTA for Original Score TV/Drama. Cassidy has composed the music and worked on the soundtrack for numerous films including ‘Hannibal’, ‘Veronica Guerin’, ‘King Arthur’, ‘Layer Cake’ and ‘Kingdom of Heaven’. Patrick Cassidy’s score will face competition from the likes of Alexandre Desplat (‘The Imitation Game’), Hans Zimmer (‘Interstellar’), Trent Reznor and Atticus Ross (‘Gone Girl’), and Johann Johannsson (‘The Theory of Everything’), all who recently received Golden Globe nominations. Irish animated short ‘Coda’ and live-action shorts ‘Boogaloo and Graham’ and ‘SLR’ from Northern Ireland have been shortlisted for Oscar nomination consideration also. The 87th Academy Awards nominations will be announced live on January 15th 2015 at 5:30 a.m. The Oscars will be held on Sunday, February 22nd.